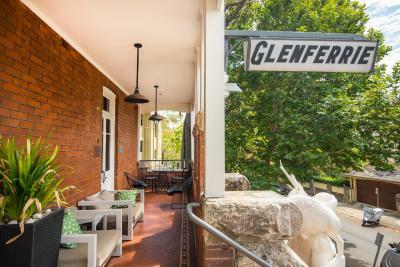 Lock in a great price for Glenferrie Lodge – rated 8.5 by recent guests! Great location and the place feels so homey. 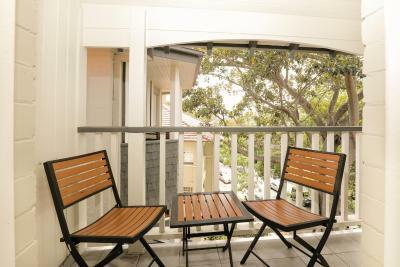 I really like the chairs in the balconies. Location, price were great. Beds were very comfortable. 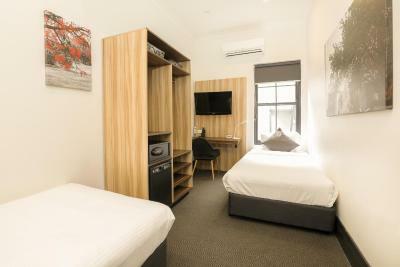 Room was generally very comfortable with aircon and ceiling fan. 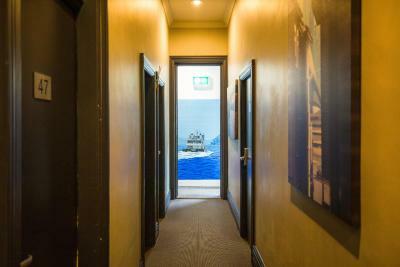 Convenient location to Ferry and Kirribilli Cafe's. Clean, comfortable bed and room. 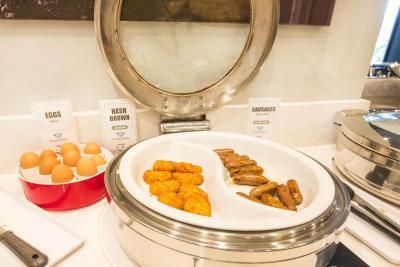 Stay included good breakfast. Will definitely stay again. Thank you Glenferrie staff. 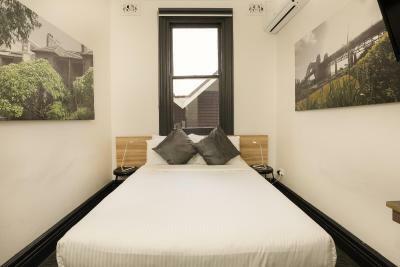 The bed was spot on the breakfast was spot on and the aircond was nice as well .i got a much better room this time i will ask for it again if i stay . 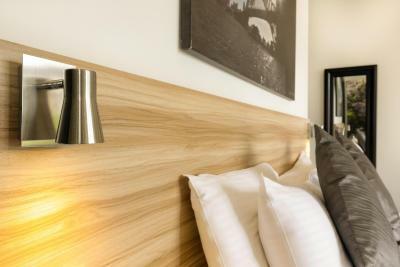 -Modern and clean rooms with A/C. 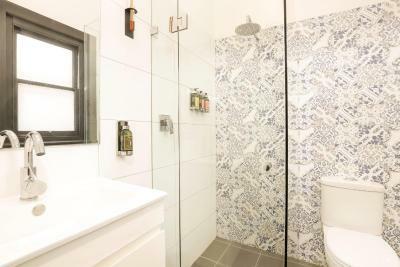 -Clean bathrooms. 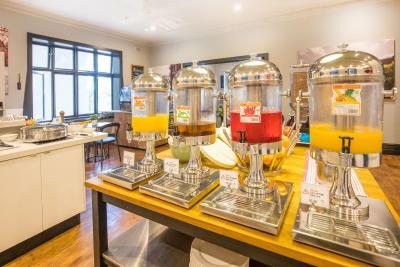 -Good lounge with hot&cold filtered water. Bed very comfortable and room very quiet. 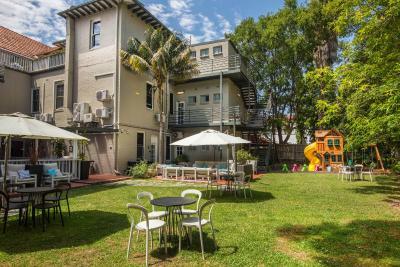 Very close to Kirribilly Wharf (and thus Sydney transport links. 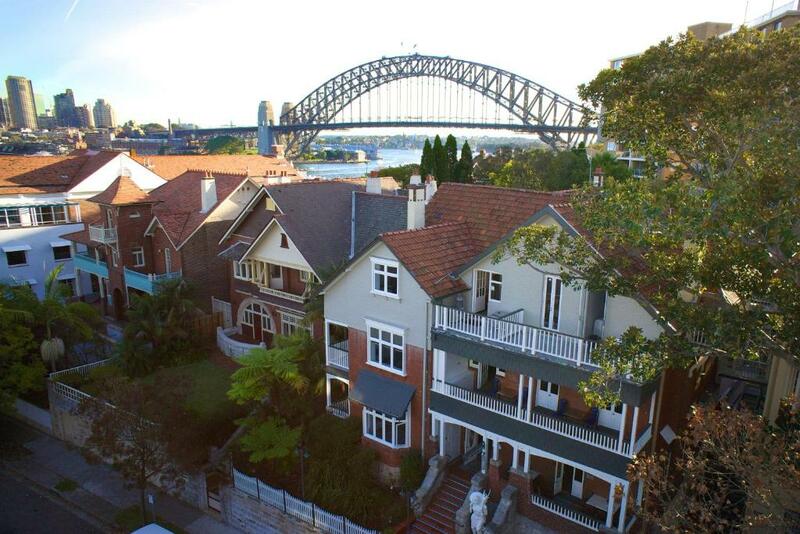 Kirribilli is a wonderful area of historic interest and good for walking and eating. 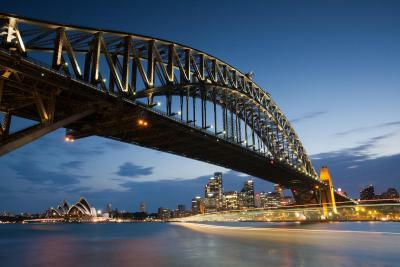 Stunning harbour and bridge/opera house views. Friendly and helpful staff. 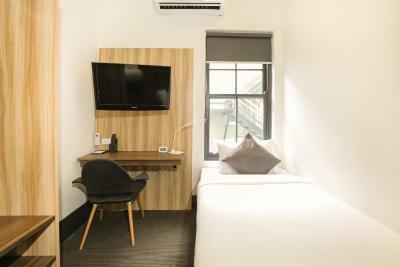 We stayed on 4 locations during our two weeks in Sydney. 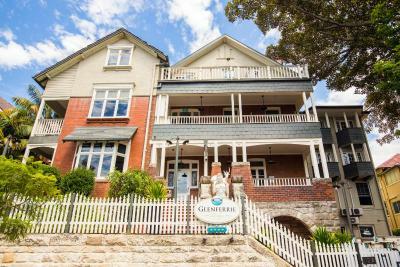 Glenferrie lodge was by far the most impressive. I would book here again next time and stay put. Plus the ferry stop to take you across the harbor to downtown is a short walk away and the neighborhood is lovely. The location, the neighborhood, the building, the room were all great! 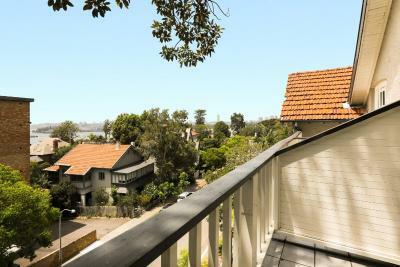 Very close to Kirribilli wharf and less than 10 min easy walk to Milson's Point wharf and rail station. 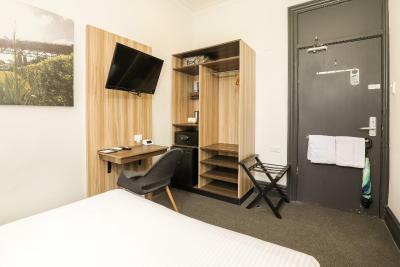 The staff were very friendly and accommodating, my room wasn't ready upon arrival, I was very early and I asked the staff to hang my suit up when the room was ready. Upon my late return, my bag was in my room my suit was hung... Thx. 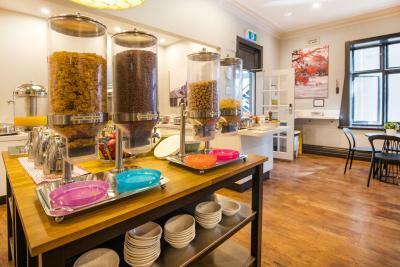 Breakfast is a full hot breakfast in a nice casual friendly dining area. Lodge is amazing. Comfortable and super clean. Great rooms. 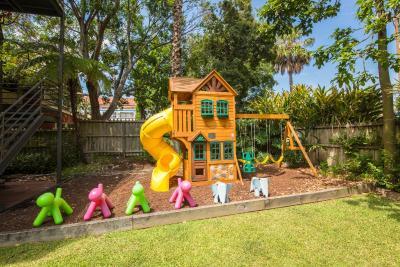 Perfect for large family! Everything is well thought through...From the porta cots to the umbrellas. We loved it. Breakfast is basic but well priced. Location is priceless. 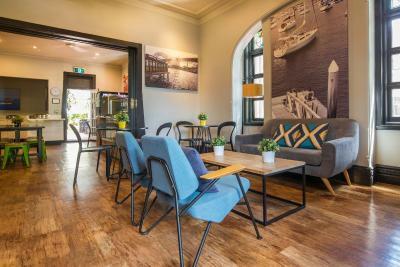 Ferry to Circular Quay is less than 5 minutes walk away! 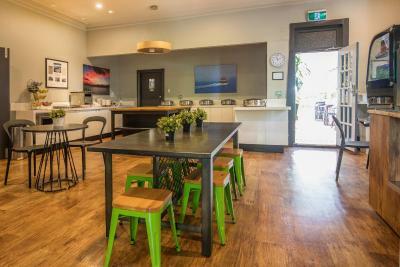 Glenferrie Lodge This rating is a reflection of how the property compares to the industry standard when it comes to price, facilities and services available. It's based on a self-evaluation by the property. Use this rating to help choose your stay! 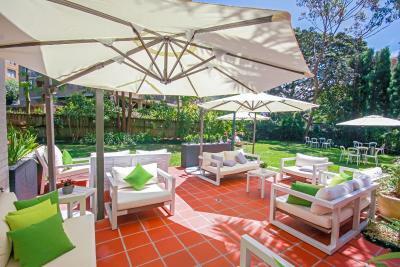 One of our best sellers in Sydney! 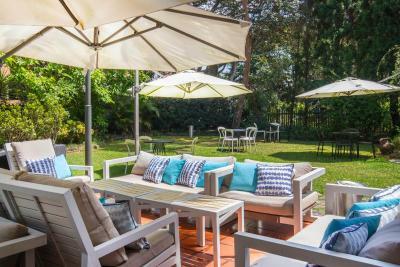 Featuring a large garden, Glenferrie Lodge provides comfortable accommodations with free Wi-Fi. 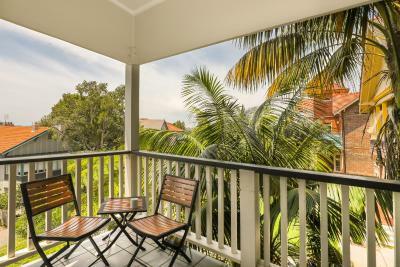 Some rooms offer a balcony with water views. 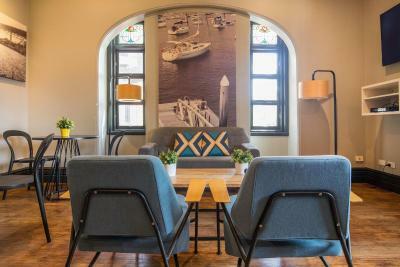 The lodge is located on Sydney Harbor. All rooms at feature a ceiling fan, refrigerator and TV. 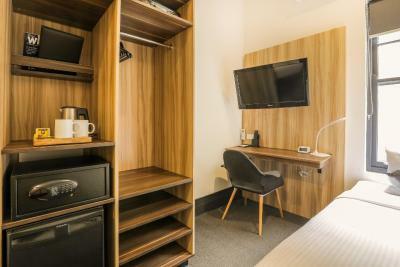 Some rooms have ironing facilities and DVD player. 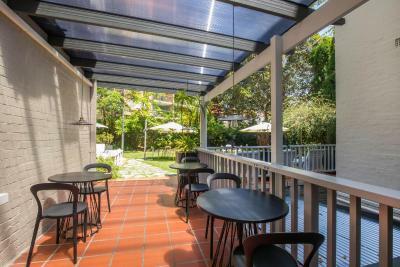 Guests can relax in the communal lounge area with cable TV or in the beautiful garden area. 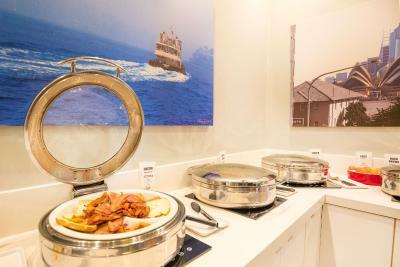 Cooked breakfast is available for an additional charge, and is served in the dining area each morning. 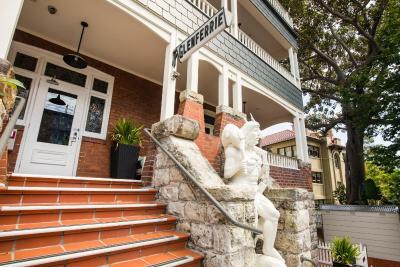 Glenferrie Lodge is just 1 minute’s walk from Kirribilli Wharf, where ferry services to Circular Quay and Sydney Opera House depart regularly. 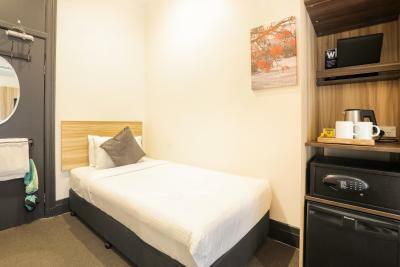 It is 5 minutes’ walk from Sydney Harbor Bridge and Milson’s Point Railway Station. Sydney International Airport is 9.3 mi away. Kirribilli is a great choice for travelers interested in scenery, convenient public transportation and atmosphere. 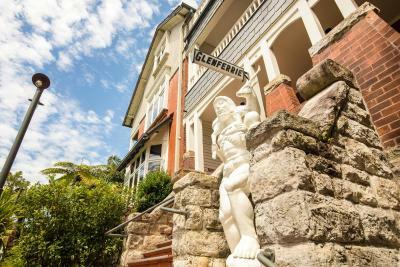 When would you like to stay at Glenferrie Lodge? 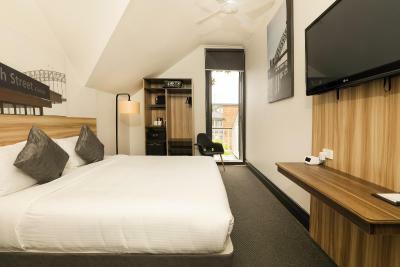 Spacious room with a queen bed, flat-screen TV, private balcony and access to shared bathroom facilities. 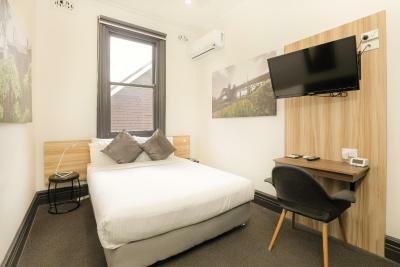 This room has 3 single beds or a double bed and one single. 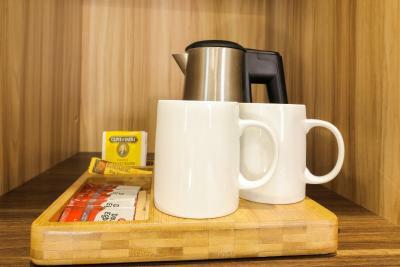 It includes a TV, refrigerator and tea/coffee-making facilities. 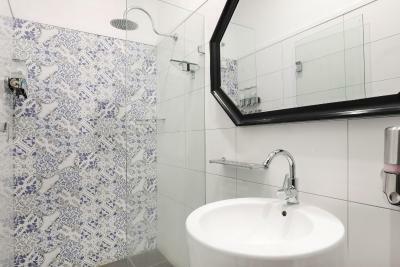 Guests have access to shared bathroom facilities. 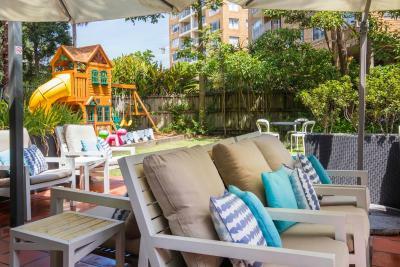 Area Info – This neighborhood is a great choice for travelers interested in scenery, convenient public transportation and atmosphere – Check location Excellent location – show map Guests loved walking around the neighborhood! 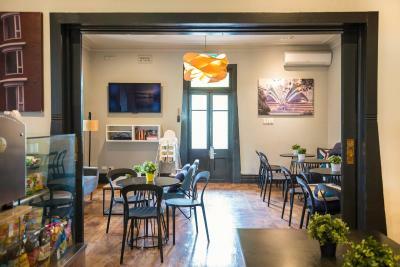 House Rules Glenferrie Lodge takes special requests – add in the next step! 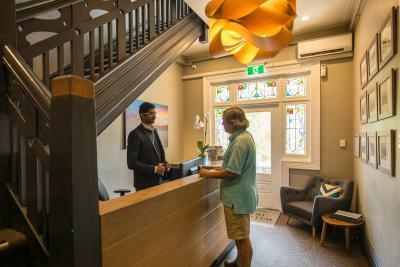 Glenferrie Lodge accepts these cards and reserves the right to temporarily hold an amount prior to arrival. Everything is fine. There was just no hair dryer and slippers provided. Bathroom too small & needs maintenance. 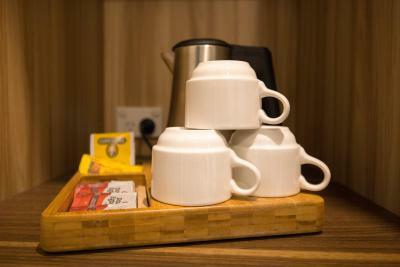 There was tea & coffee making facilities however you needed to use to communal bathroom to fill kettle. Unhygienic. The beds were clean & comfortable. A nice setting away from the city. 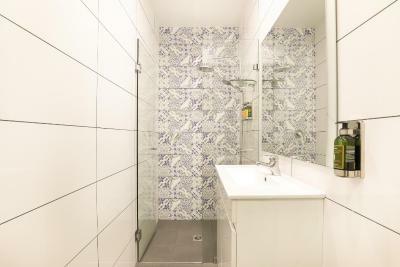 Shared bathroom, but saying that I booked a room that had this. But I never ran into anyone. I did look at other rooms and will book one with its own bathroom next time. The noise out side the back steps, departing guest yelling up the to each other but once again you can help this. 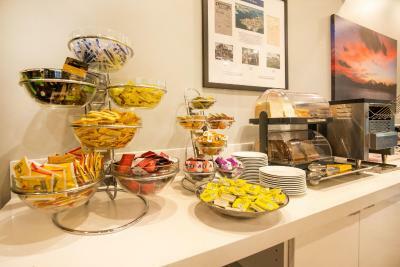 The breakfast was very good, but the coffee was cold. 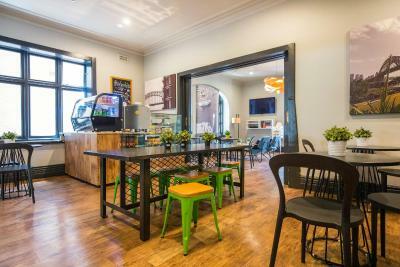 The location was amazing It was clean and the staff are all very polite and helpful. House keeping were very accommodating. Reception staff very helpful and welcoming. I had a shared bathroom, I never had to wait and I never ran into anyone. We stayed on the top level (3 flights of stairs) Having no lift was honestly horrible with a 2 year old and numerous bags...not to mention that the only drinking water available was on the bottom level. If I’d known the bathrooms were unisex I wouldn’t have booked a room with shared bathroom...it felt uncomfortable and unsafe sharing a bathroom with another guest who was walking around in his towel making inappropriate comments towards me. I was expecting far less, but for one night I thought I would put up with it. Now I would have no hesitation in coming back. 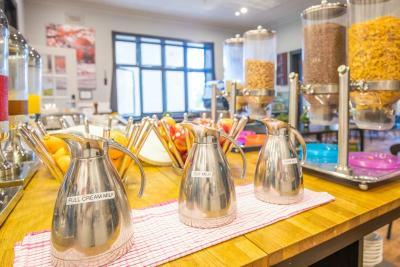 The facilities were very well maintained - a big thumbs up! The breakfast that was always included in the price is now an extra, and to be honest that was one of it's main selling points , at least to me. You can find an evening park for your car in the area, max walk 7-10 mins away, move by 10am to avoid ticket. Dropping off during day not an issue and can find a 2 hr park spot usually close by. 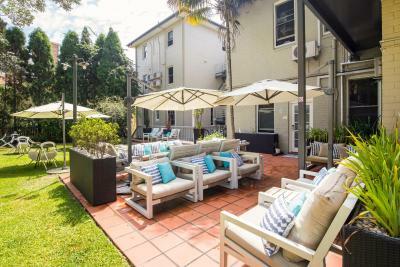 Great value, superb location, close to cbd, train station Milsons Pt, close to north end Harbour Bridge. 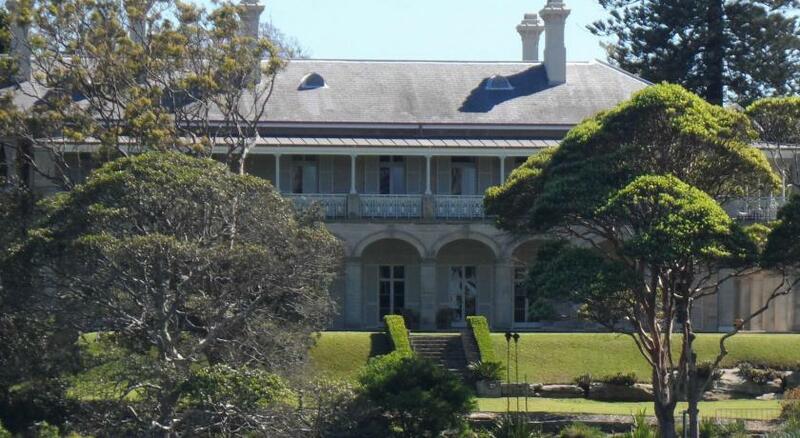 I stay here usually about 10 times a year, business trips to Sydney etc. 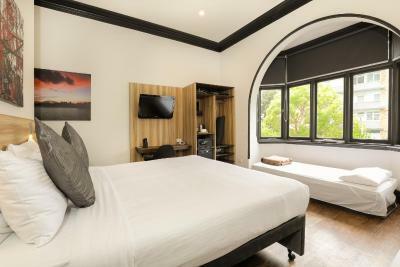 Very comfortable bed, with a lovely spacious room.